There is much work ahead of us, and we are in need of volunteers with all kinds of skills. 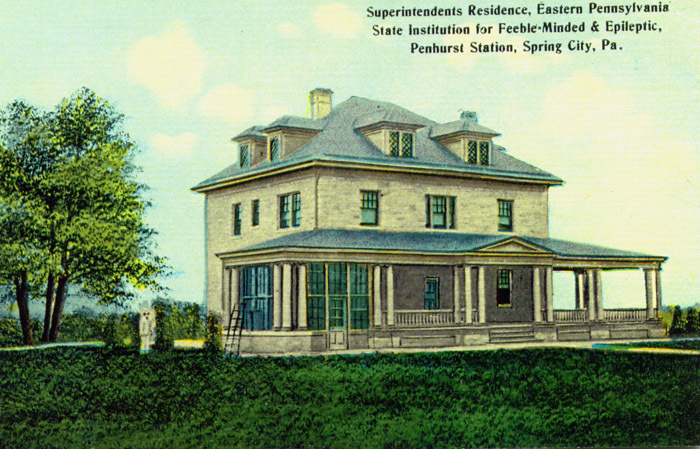 As of 2015, The PM&PA has entered into an agreement with the Department of Military and Veterans affairs and the Pennsylvania State Historic Preservation Office for the future ownership of the superintendent's residence on the upper campus of the Pennhurst State School and Hospital. We have drafted a six year plan to convert the long vacant residence into an Interpretive Center and museum for disabilities. We are currently in the planning phase of this project, but planning will soon turn into action. If you would like to contact us and offer your specific skill, please use this form. If you would like to be on our list of volunteers, and receive email announcements when there is a project at hand, please use the form below. Your generous offer of help is greatly and sincerely appreciated!